The idea of setting up a one game is their simple way of remembering a late friend. 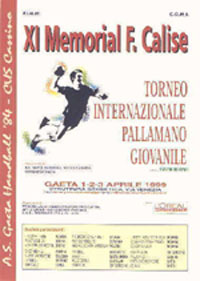 In the following day all the players of thet year are called for a one game event which will be called the First Memorial F. Calise. 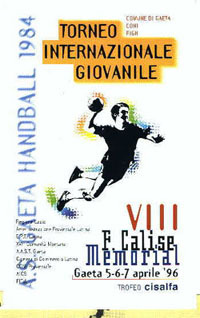 The game will be played between Juniores 1970 and Gaeta handball 84. 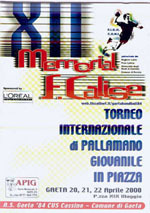 The printing of posters and the prizing with trophies give an official flavour to this joyours gathering among friends. The following year, coherently to the teams ideal of initiation to sports of the local youth a championship among juvenile teams began.